On the night to August 29, 1918 the Bolsheviks shot colonel Frīdrihs Briedis, one of the most popular and talented of the Latvian Riflemen. Several plans to set him free failed, and the news over his death shocked his contemporaries. Frīdrihs (Fricis) Briedis was born in a Latvian colony in Belarus in 1888. He finished military school with excellent grades and from his very early days in service he stood out as a master commander and excellent marksman. As the First World War broke out, he changed his name to Frīdrihs, as Latvians called Germans friči. In action in Eastern Prussia, Briedis stood out as a savvy scout and a brave soldier. He received numerous awards for valor and his accomplishments for his service under the Russian Empire. 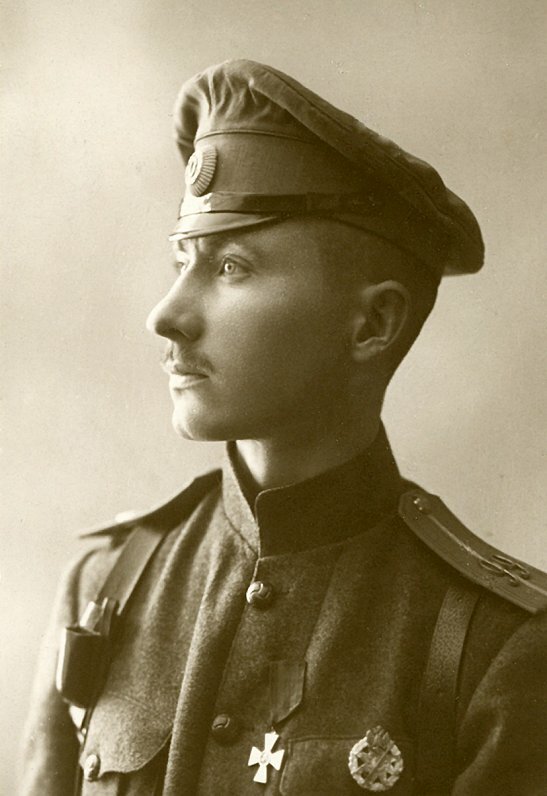 In August 1915 Briedis asked to join the freshly-set up Latvian Riflemen battalions. He was one of the first Latvian officers to arrive in Rīga to assume command over the new units. He was appointed to command the 1st Daugavgrīva battalion. There were many minors in his squad, including hooligans from Rīga, but within a few months Briedis was able to make his unit into a hardened, battle-fit squad. From October to November, 1915 he and his men were able to score several victories against German forces. Particularly successful was the night attack near Plakanieši, where his men emerged victorious against a German unit four times the size (the 2nd battalion of the 376th infantry division). Germans lost 110 men in this battle, while Briedis' unit lost 15. Briedis also introduced several innovative tactics, including attack tactics. He liked the idea over attacking German units without artillery and came up with methods of passing barbed wire, later employed successfully in the Christmas Battles. Early in battle, he was severely wounded (other injuries were to follow), and this prevented him from continuing to mount other attacks. In March 1917 he was made commander of his battalion and, in August, he was promoted to colonel. Briedis was a fierce opponent of the Bolsheviks and tried to prevent the spread of their popularity within the ranks of the Riflemen. He was a member of the National Democrats party, whose members were the first to propose the idea that Latvia should become independent. 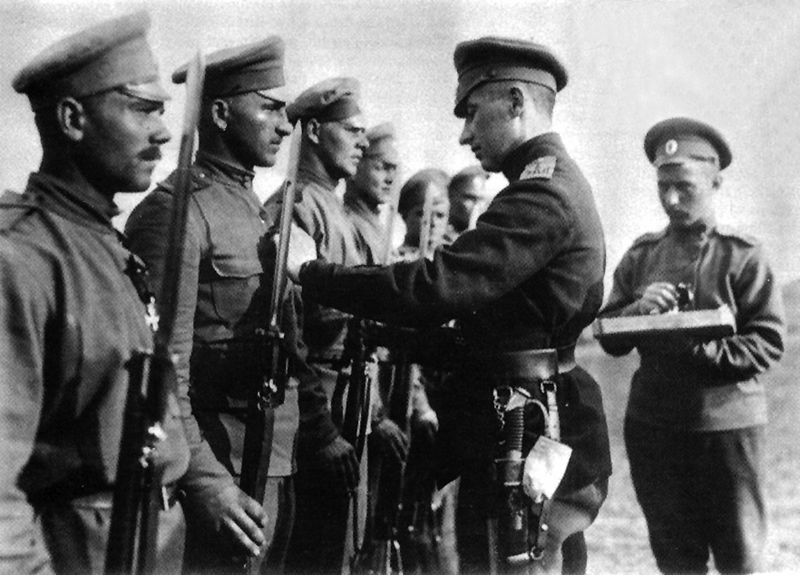 Briedis participated in the making of the Latvian Soldiers' National Association, set up to reduce the influence of Bolsheviks among Latvian soldiers. The Bolsheviks, however, did not let all of this slide unnoticed; just before the October Revolution, when Briedis was treating an arm injury in Tartu, they prevented Briedis from being continuing as commander in a vote. Afterwards, they tried arresting Briedis in Valka, but he fled to Russia, where he partook in Boris Savinkov's counter-revolutionary organisation called the Society for the Defence of the Motherland and Freedom. He was put in charge of its reconnaissance unit. On July 23, 1918 he was arrested by the Cheka after a tip-off. It made many Latvians very angry. 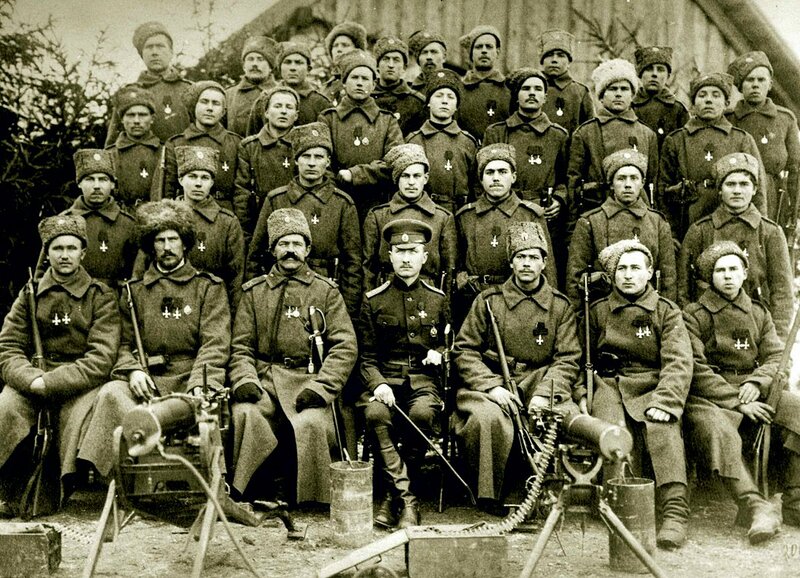 As they learned of the arrest of their former commander, the 1st Latvian Red Riflemen Regiment sent a delegation to Moscow to set Briedis free. Perhaps it's for this reason that the Bolsheviks wanted to deal with Briedis as soon as possible. They were also afraid of possible armed attacks to free the commander. Indeed, several groups planned to free Briedis. There was even an attack planned for the time when Briedis would be lead to questioning from prison. The Latvian Provisional National Council, with which Briedis had cooperated previously, called a meeting to plan freeing Briedis. The rescue of Briedis was entrusted to politician Jānis Goldmanis, who was given 60,000 roubles to bribe the Cheka. Nevertheless, the plan failed spectacularly. On August 27 Goldmanis informed several members of the council that Briedis has been freed, but just two days later news broke out that the colonel has been executed. Latvian members of the Cheka had shot him in secret, without trial.